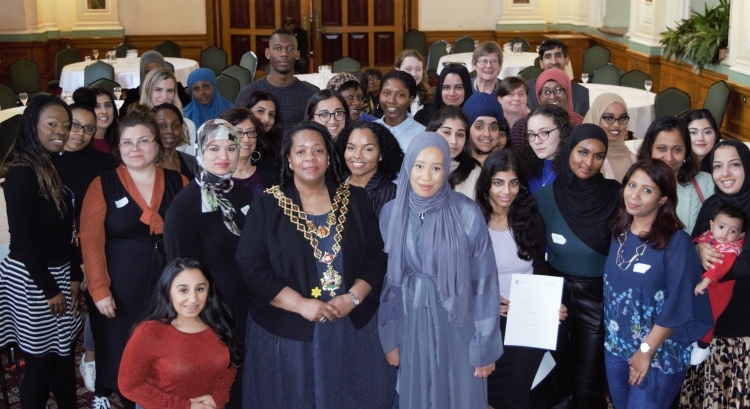 This event was the culmination of a unique year-long programme (co-run by MWNUK and the University of Warwick) which was designed to capacity-build young BME women to engage in civic and political life. The participants presented their campaigns to an audience which included the Lord Mayor of Bham. 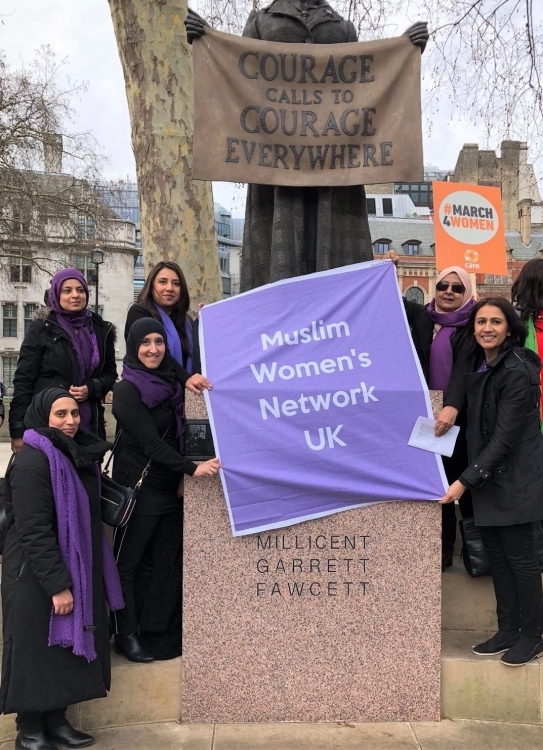 As part of our International Women's day activities we marched, along with our partners at Care International UK, Centenary Action and the Fawcett Society, to lobby MPs to take action to end workplace harassment. Our AGM was held on 29th Oct 2018 at Portcullis House and hosted by Lib.Dem. 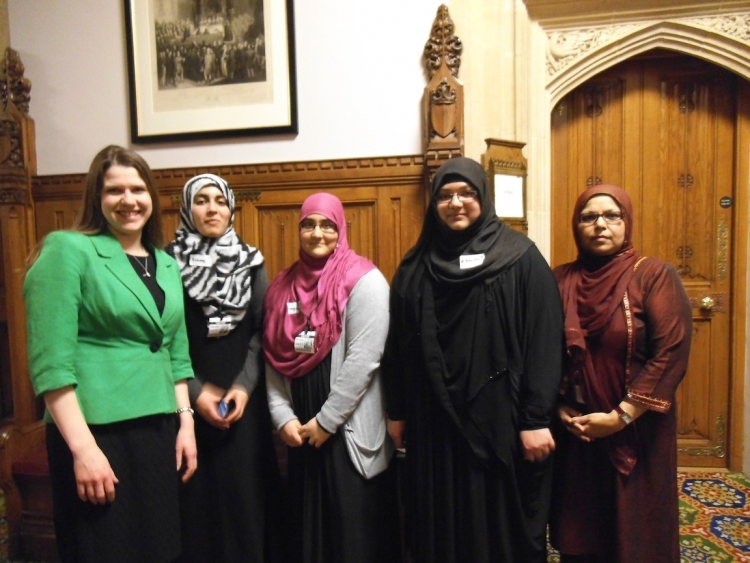 MP Jo Swinson. Jo also sat on the discussion panel with Adeeba Malik CBE. Poet Amina Atiq performed and all our amazing attendees, including Helen Pankhurst and Jess Phillips MP, helped us celebrate 15 years of MWNUK. In early February 2018 all of the MWNUK team spent the weekend in the countryside with facilitator Ceri Hutton to team- build, take stock of MWNUK's growth and work so far and look forward to future priorities and outcomes. 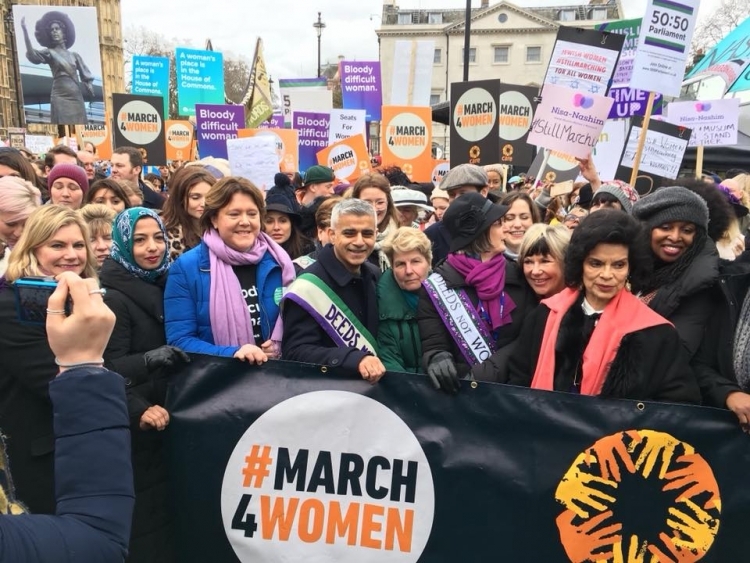 This year MWNUK were official partners of Care International UK's #March4Women. We marched for gender equality and justice with thousands of women. Our delegation included sisters from Blackburn and Bham and 2 fantastic female dhol payers from Xclusive Dhol. Our E.D. Faeeza Vaid spoke at the rally. 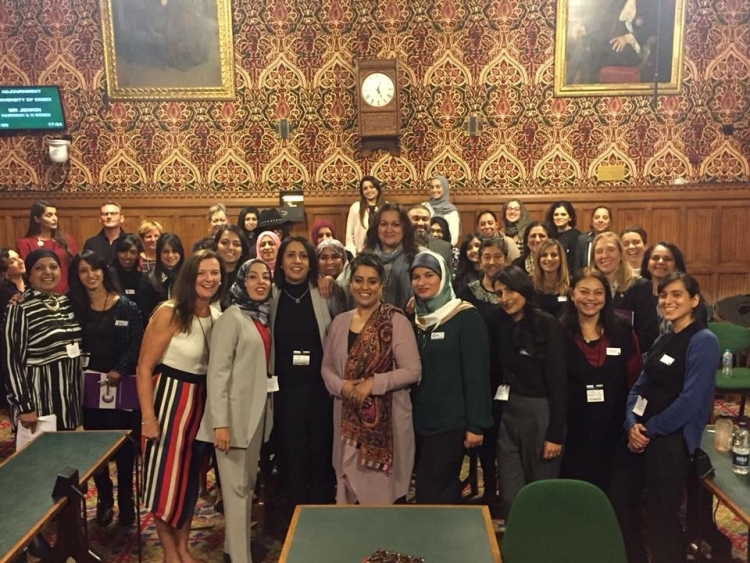 Our AGM was held on 2nd Nov 2017 at the House of Commons and hosted by Labour MP Naz Shah. 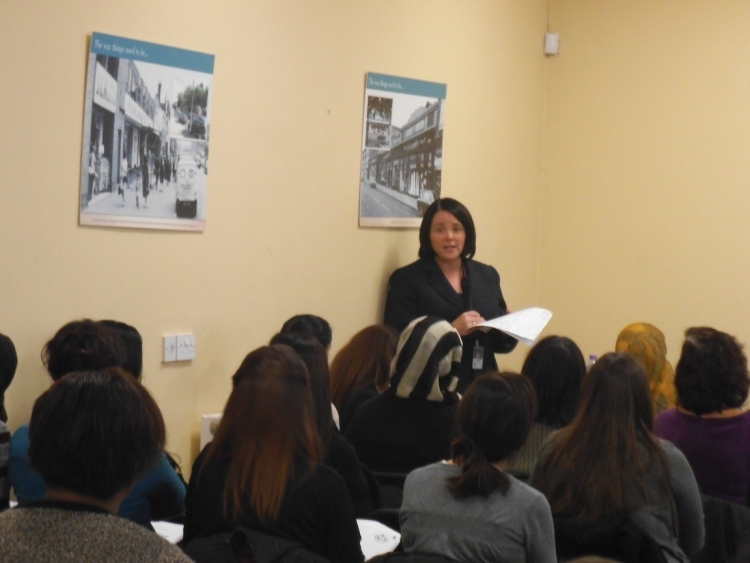 Speakers also included: Nazia Rashid (Senior Associate at Anthony Gold Solicitors) and Imam Islam Uddin. 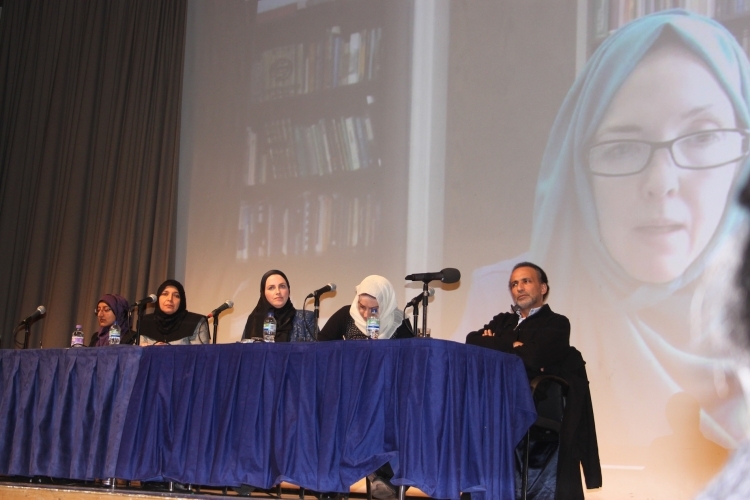 The event also included a panel discussion on Shariah Councils and Muslim women. 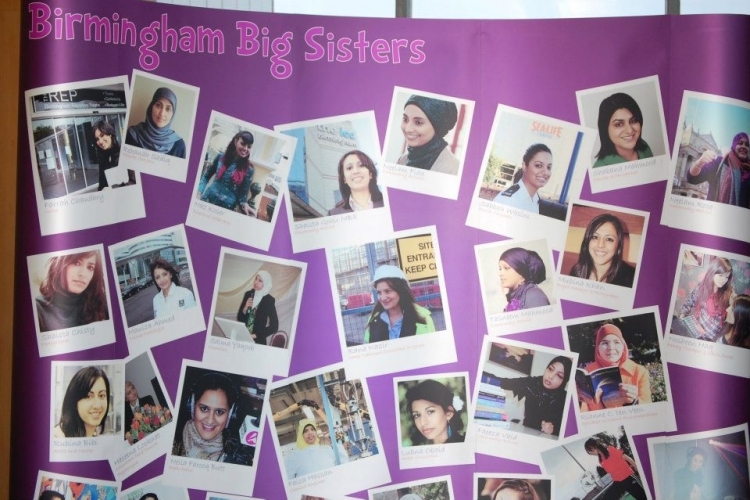 An event was held on the 17th May 2017 at Birmingham Council to highlight the work of Muslim Women's Network National Helpline and share findings and case studies with a range of stakeholders. 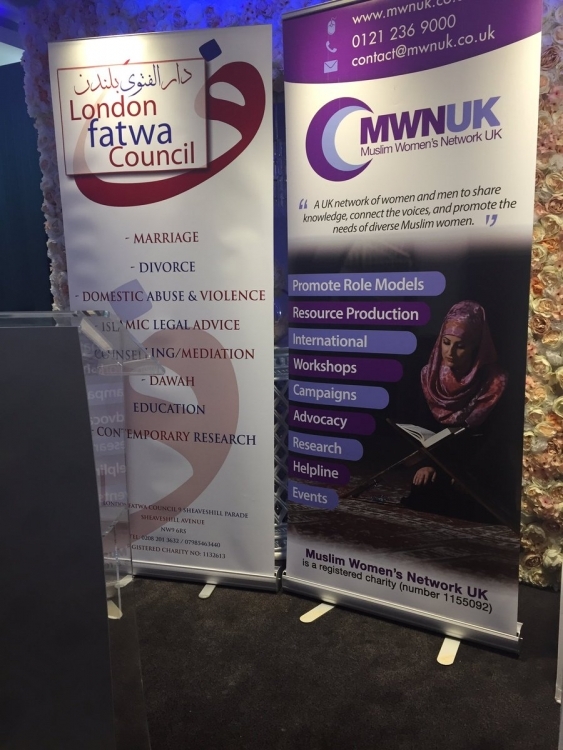 Muslim Women's Network UK partnered with the London Fatwa Council to hold an awareness raising event (particulary amongst men) on forced marriage. This was held on the 10th May 2017. Speakers included Dawn Butler MP and a number of imams and scholars including Dr Shahid Raza Naeemi OBE. 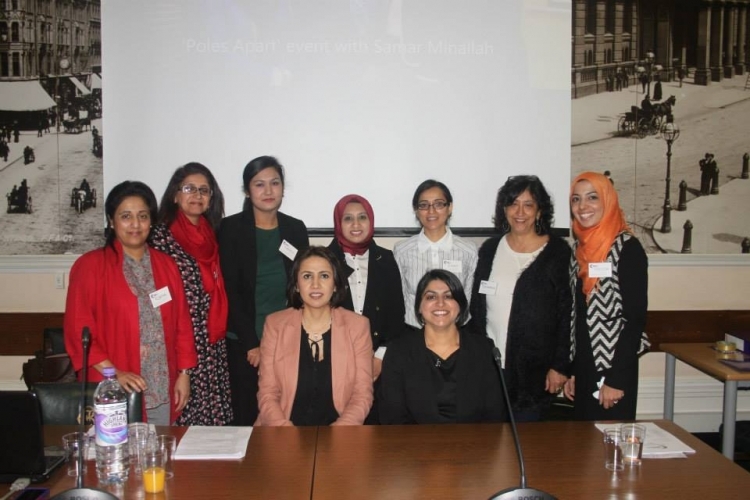 Muslim Women's Network UK partnered with the Pakistan Muslim Centre and the Sheffield Federation of Mosques to hold an event to raise awareness of (particularly amongst men) of forced marriage. This took place on the 24th April 2017. The AGM event was held on 11th Oct 2016 at Portcullis Hse, Westminster & hosted by Labour MP Naz Shah. 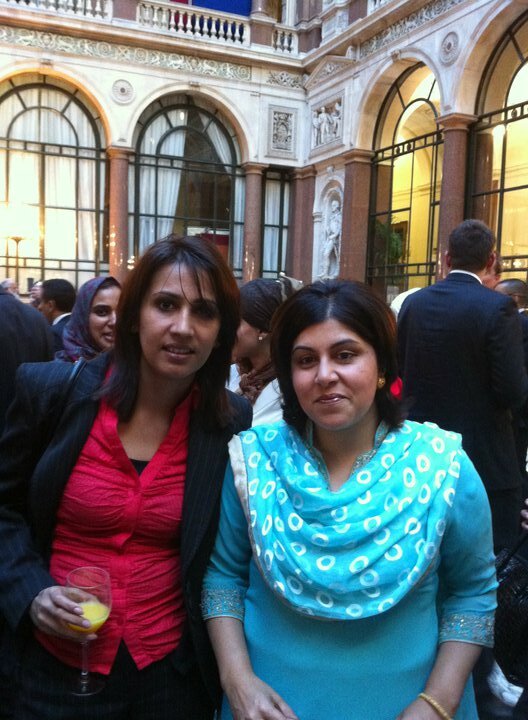 Speakers also included: Baroness Warsi, Sarah Newton MP and Iman Abou Atta (Tell MAMA). 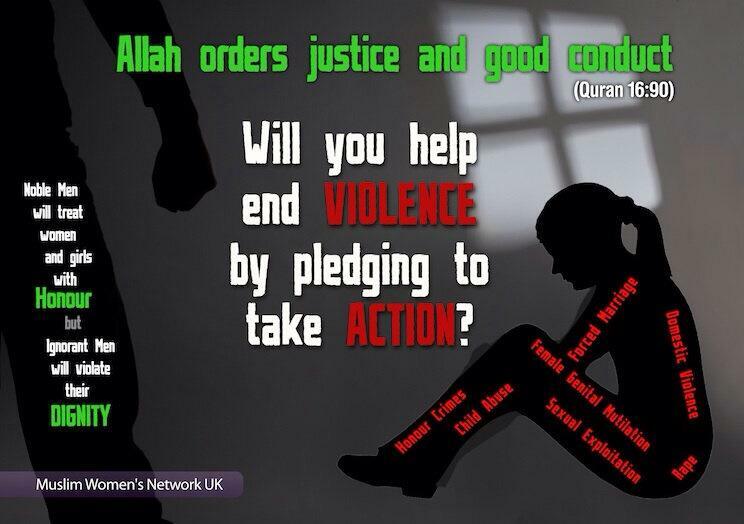 We also launched our #AndMuslim female role model campaign. 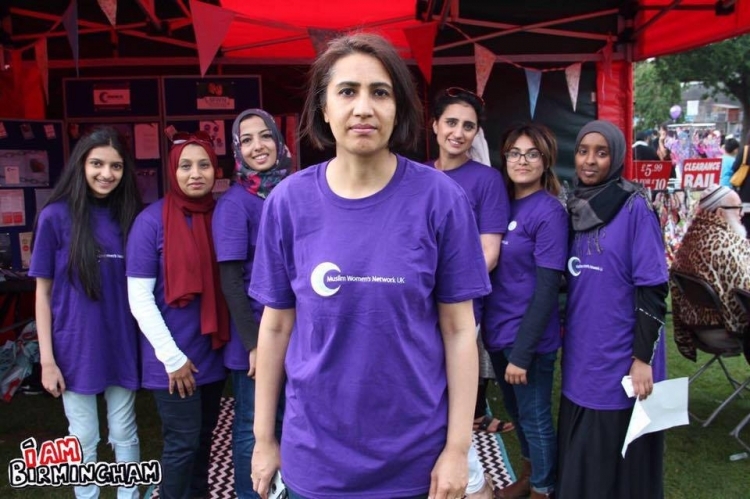 On Sunday 31st August 2016 we hired a stall at the Big John Mela in Birmingham to raise awareness of our work especially the National Muslim Women's Helpline. 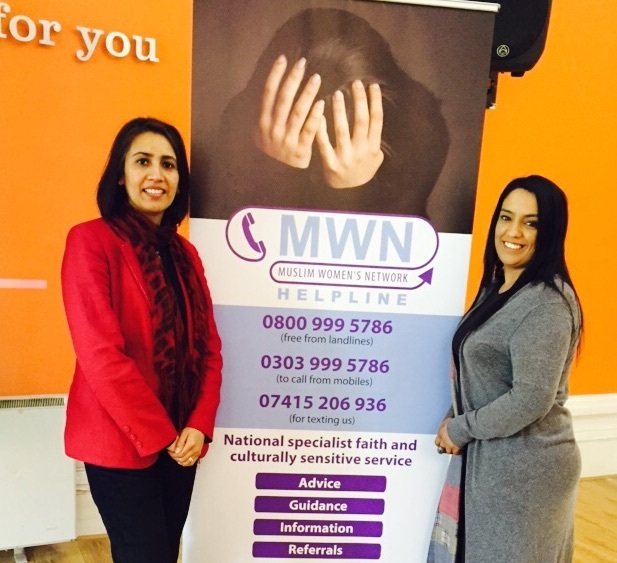 On the 28th May 2016 MWNUK held a FGM awareness event in partnership with Jeena International in Slough. It was funded by a grant from ROSA. On the 25th May 2016 MWNUK held a FGM awareness event in partnership with Halo Project in Middlesborough. It was funded by a grant from ROSA. 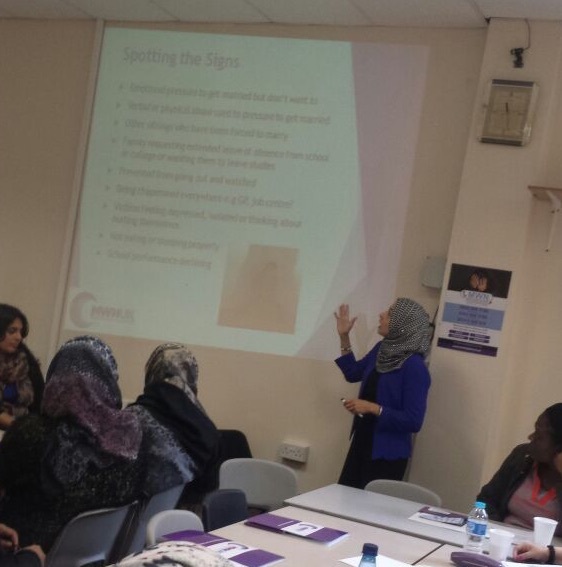 On the 20th March, MWNUK held a forced marriage awareness event in partnership with Al Quba trust in Luton. It was funded by a grant by FCO. 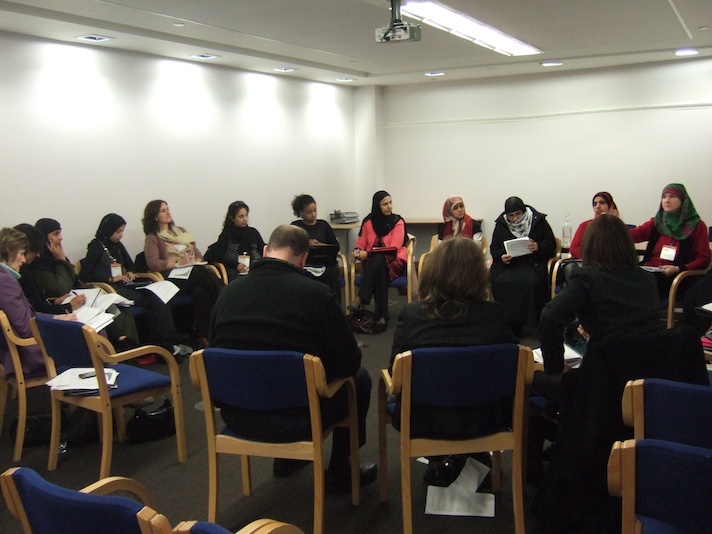 On the 19th March, MWNUK held a Forced Marriage conference in partnership with St Alban's Academy in Birmingham. It was funded by a grant from the FCO. 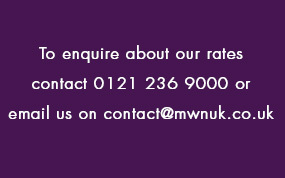 MWNUK held a focus group in ‪Birmingham on forced marriage. 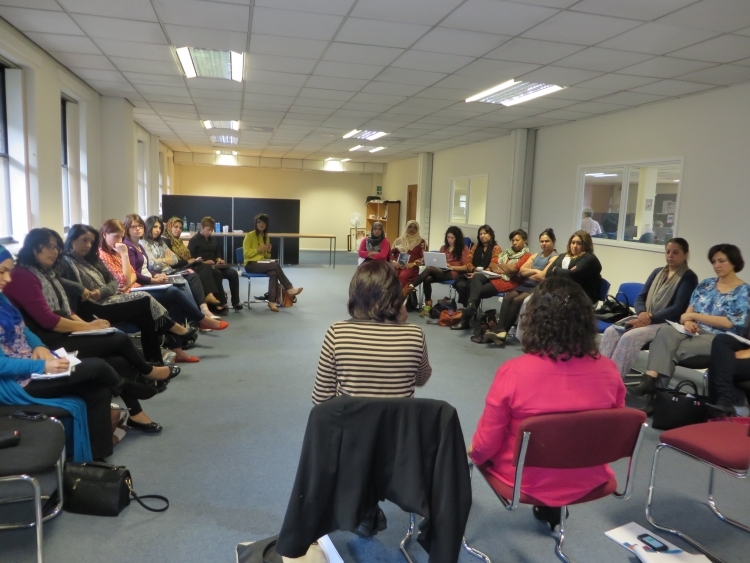 The event was attended by female activists from around the country who helped formulate possible solutions to help young people tackle forced marriages. 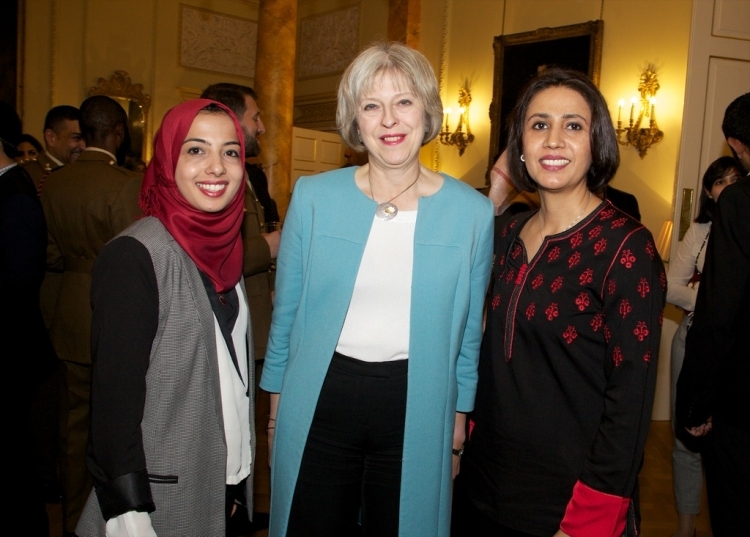 On the 23rd September,Chair Shaista Gohir and Executive Director Faeeza Vaid were invited to celebrate Eid al Adha at 10 Downing Street and had the honour of meeting Home Secretary Theresa May. 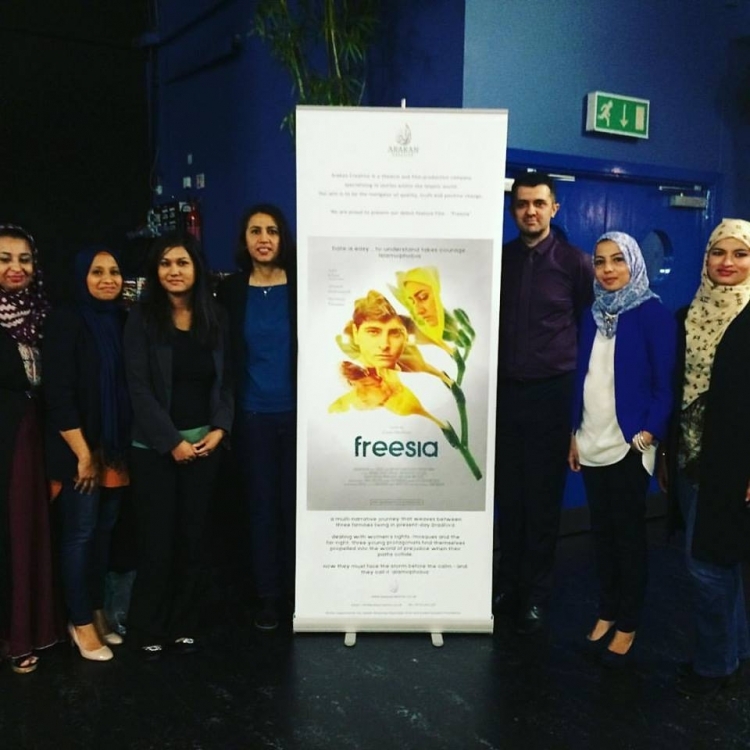 On the 13th September MWNUK hosted the private film screening of 'Freesia'- the first UK film to address issues of Islamophobia and hate,produced by Akran Creative, set in Bradford and starring Aqib Khan of 'West is West'. Chair, Shaista Gohir is a board member of the Global Movement Musawah and attended a planning meeting to ensure the smooth transition of the Secretariat office in Rabat, Morocco. 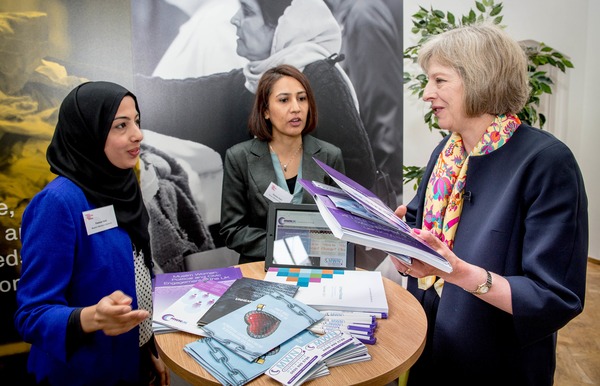 On the 25th August, Chair Shaista Gohir and Executive Director Faeeza Vaid met Home Secretary Theresa May MP,and discussed the work being done by MWNUK at the "Building a Stronger Britain" event in Birmingham. Photographs from the event will be available on our website. 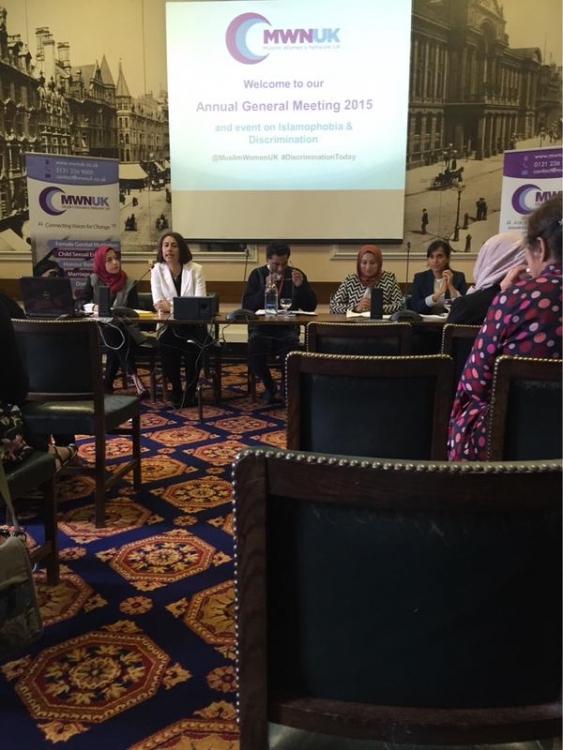 MWNUK held our Annual General Meeting on Friday 31 July 2015 at Birmingham's Council House focusing on issues including AGM and Islamaphobia. The MWNUK team then shared updates on another busy and exciting year with lots of interesting developments. We received funding from the government's Department of Local Government and Communities to hold a series of awareness raising events. The event in Bradford was held on 13th June in partnership with Sharing Voices, a mental health charity. We received funding from the government's Department of Local Government and Communities to hold a series of awareness raising events. The event in Rochdale was held on 7th June in partnership with The Light of Islam Academy. We received funding from the government's Department of Local Government and Communities to hold a series of awareness raising events. 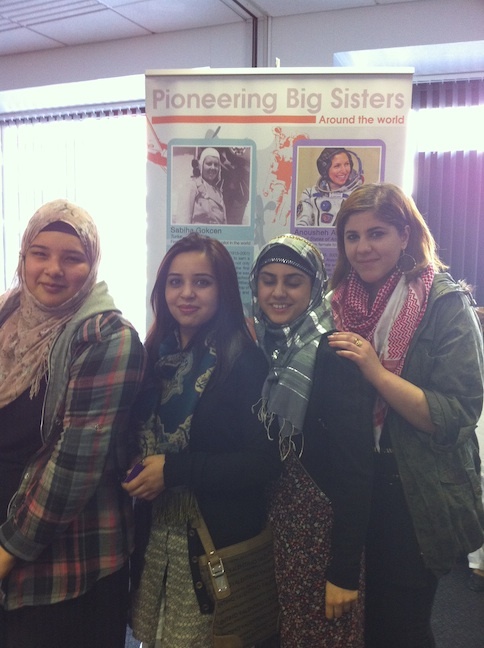 The event in Manchester was held on 21tst May in partnership with with Awaaz Women's Group / ITC Centre. We received funding from the government's Department of Local Government and Communities to hold a series of awareness raising events. 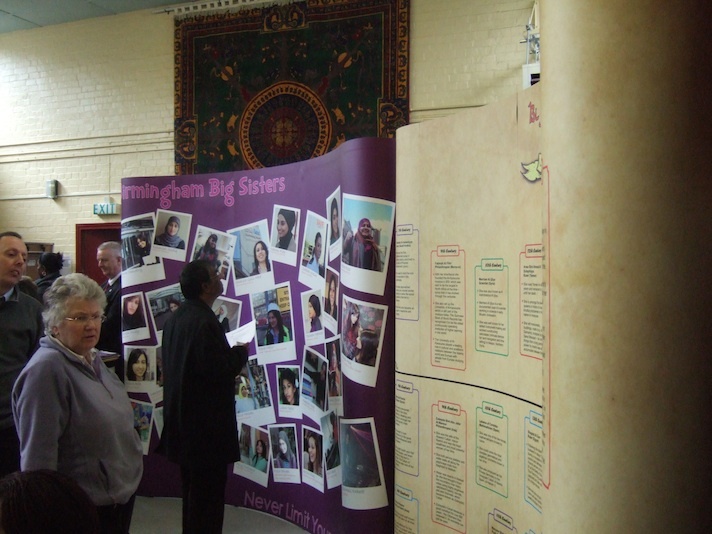 The event in Rotherham was held on 20th May in partnership with Apna Haq, a women's rights group. 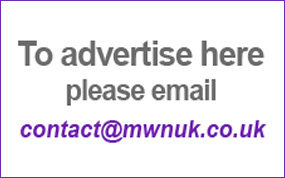 MWNUK partnered with several organisations including FORWARD and St. Albans School to organise a conference on tackling female genital mutilation. The conference explored the rule of health, police, faith leaders, schools and community groups. Youth champions also joined the campaign through song and poetry. We also heard of survivor stories. 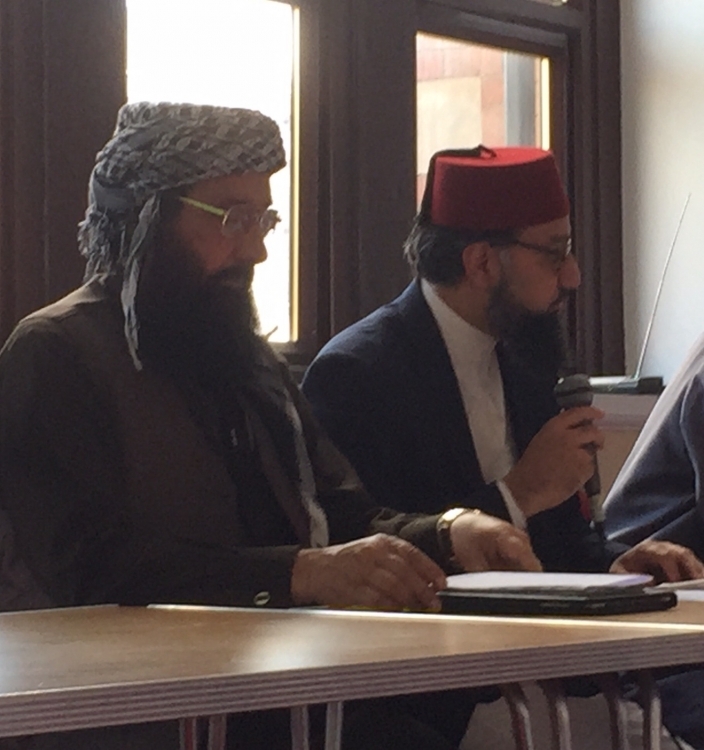 The event was held in Birmingham on 16th March 2015. 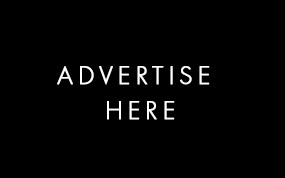 MWNUK and Women Interfaith Network (North East) partnered to hold an event to highlight the sexual exploitation of Asian girls and young women. Participants included women from the local community, third sector groups and frontline professionals. The event was held on 16th March 2015 in Newcastle. 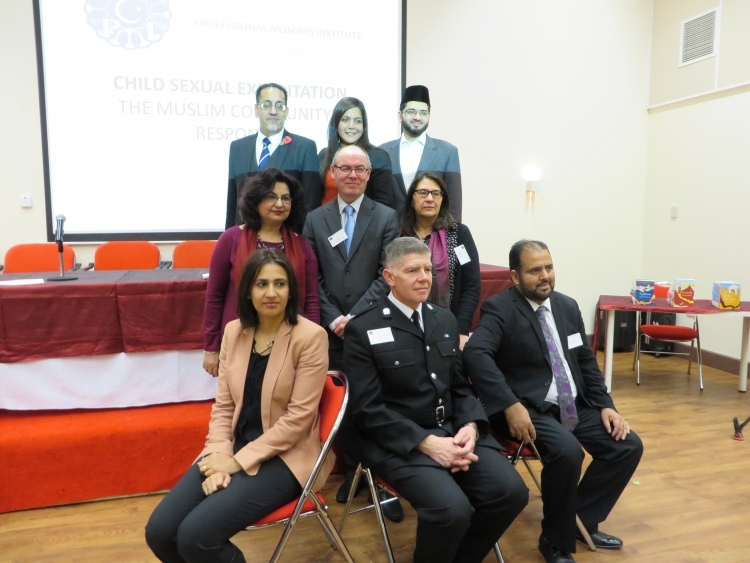 MWNUK and East London Mosque partnered to hold an event to highlight the sexual exploitation of Asian girls and young women. Participants included women from the local community, third sector groups and frontline professionals who came together to discuss how to move forward and encourage children of all backgrounds to report abuse. 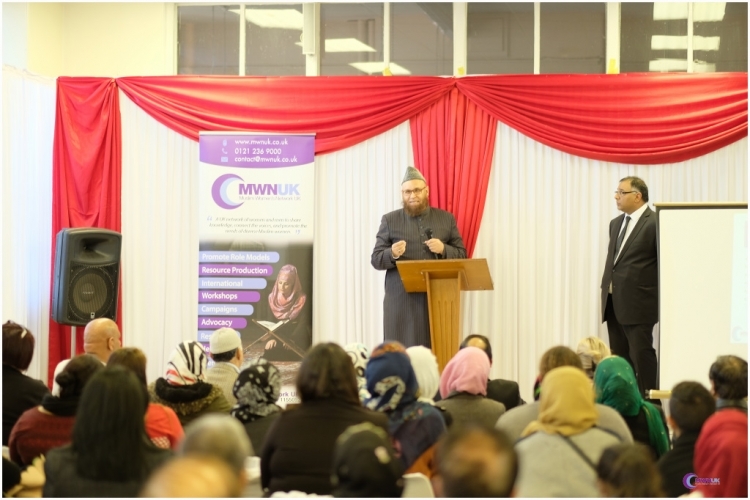 The event was held on 10th March 2015 in East London Mosque (Maryam Centre). 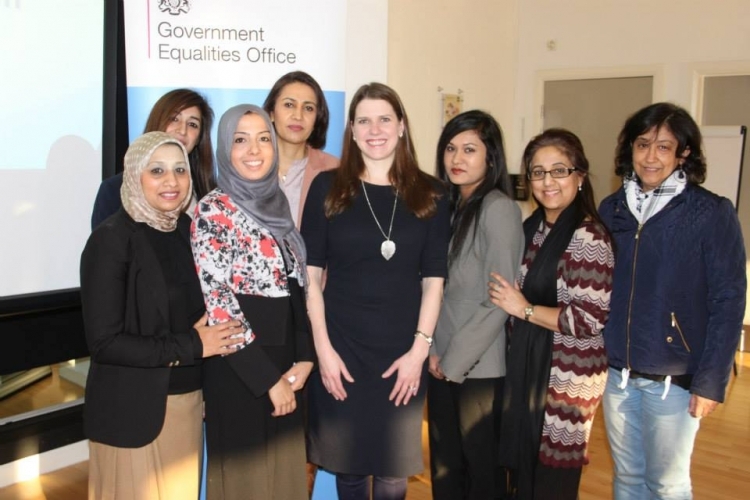 Event held on 14 January 2015- in partnership with the Government Equalities Office at Randle Room, Cannon Hill Park. MWNUK and Apna Haq partnered to hold an event to highlight the sexual exploitation of Asian girls and young women. Participants included community and third sector groups who came together to discuss how to move forward and encourage children of all backgrounds to report abuse. Speakers included representatives from South Yorkshire Police, Rotherham Council and third sector organisations. The event was held on the 6th November 2014 in Rotherham. 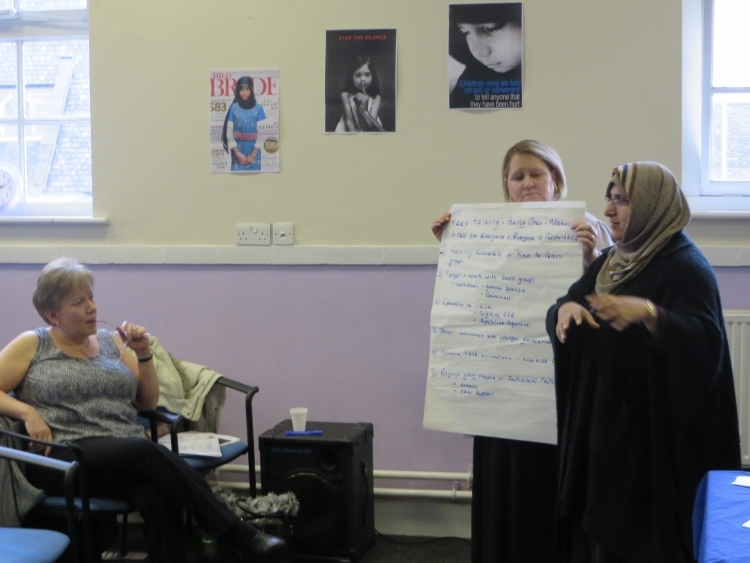 MWNUK organised a workshop for women in partnership with Just West Yorkshire and QED-UK in Bradford to explore how child sexual exploitation can be tackled. The workshop was held on 31st October 2014. 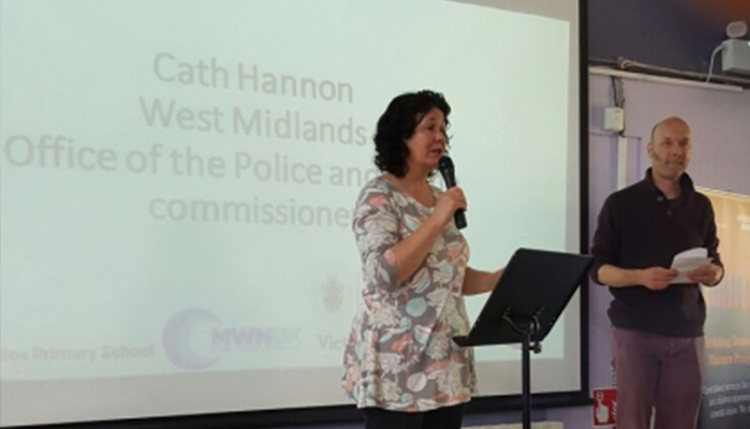 MWNUK partnered with Seven Local Authorities and West Midlands Police to hold an event on sexual exploitation. 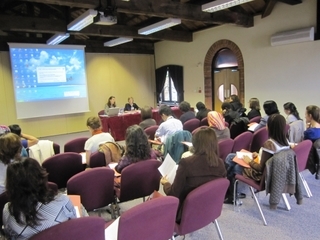 The event was held on 20th October 2014 in Birmingham. 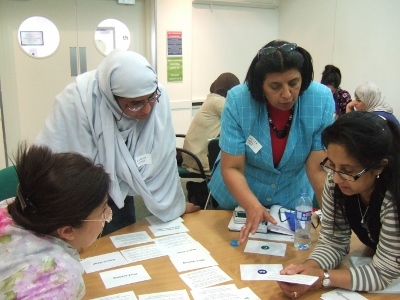 MWNUK organised and facilitated workshop for the Parliamentary Health Service Ombudsman (PHSO) to find out about why Muslim and South Asian women do not often complain when the receive an inadequate service from the health service and other public bodies. The workshop was held on 13th June 2014. 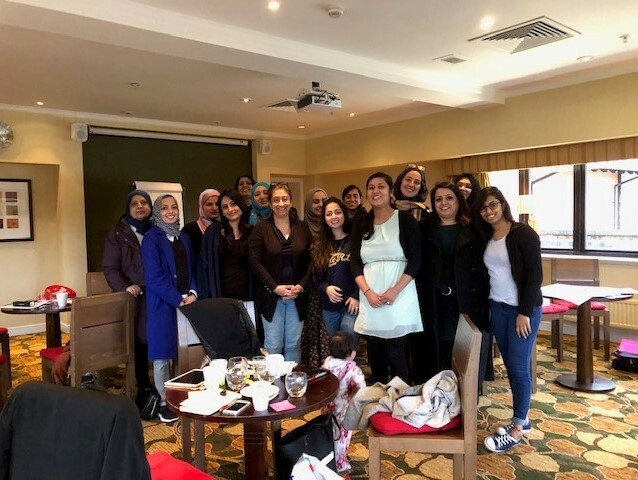 MWNUK organised and facilitated workshop for the Parliamentary Health Service Ombudsman (PHSO) to find out about why Muslim and South Asian women do not often complain when the receive an inadequate service from the health service and other public bodies. The workshop was held on 9th June 2014. MWNUK AGM May 2014 at Birmingham Council House themed 'Muslim Women and Mental Health'. 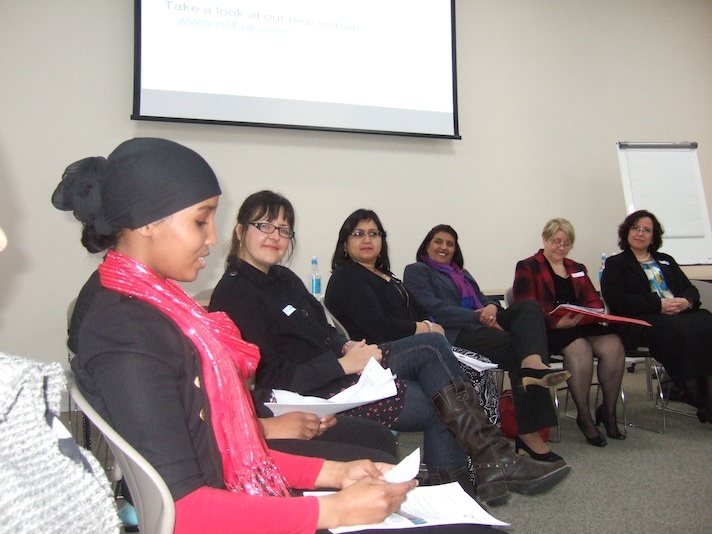 Event included AGM business, panel discussion on Mental Health, and awareness raising workshop on Mental Health. Members also enjoyed lunch while networking. A conference organised by the Deen Institute in London on 26th January 2014 with renowned scholars and academics including Tariq Ramadan, Dr. Ingrid Mattson, Dr Zainab Alwani and Myriam Francois Cerrah. MWNUK Executive Director, Faaeza Vaid also presented posing questions to the panel. 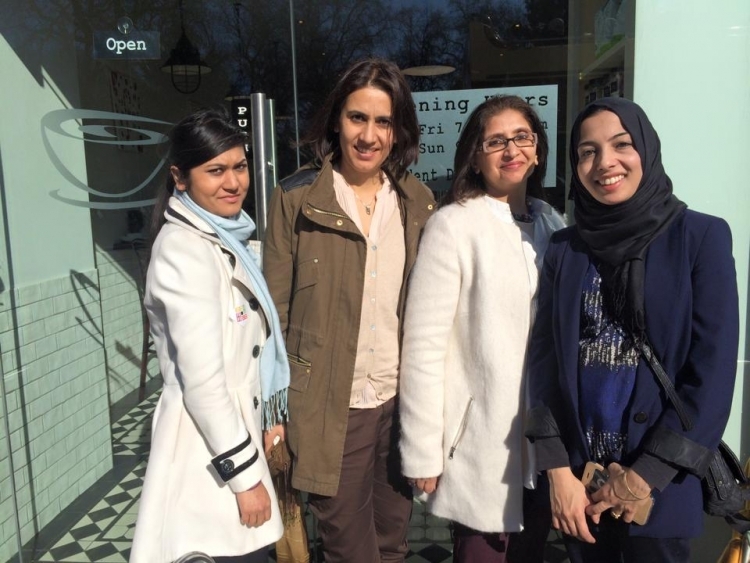 Labour Party's Shadow Minister for Women and Equalities, Gloria De Perio and Yasmin Quereshi MP have been listening to women around the country and visited Birmingham to speak to Muslim women on 11th January 2014. 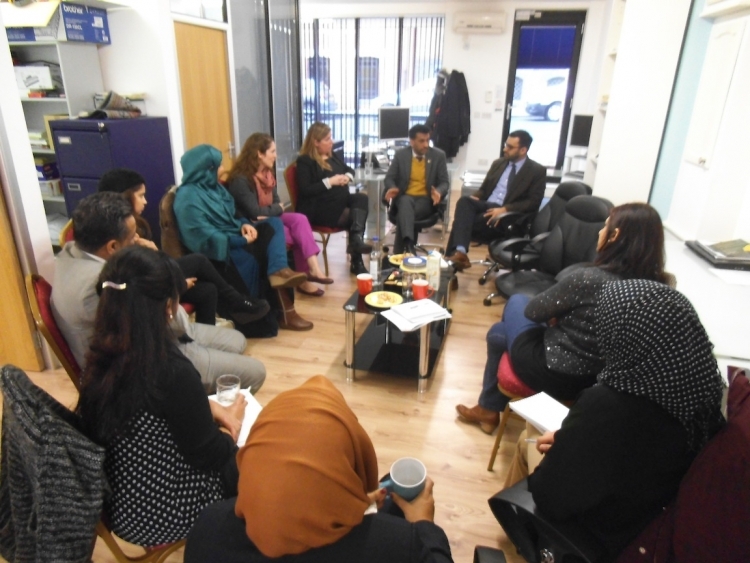 On 2nd Dec 2013, MWNUK hosted Samar Minallah, an award winning documentary maker & human rights activist from Pakistan. We played her documentary on forced marriages, Poles Apart: Chains do not keep Marriages Together,’ This was followed by a QA session and debate. 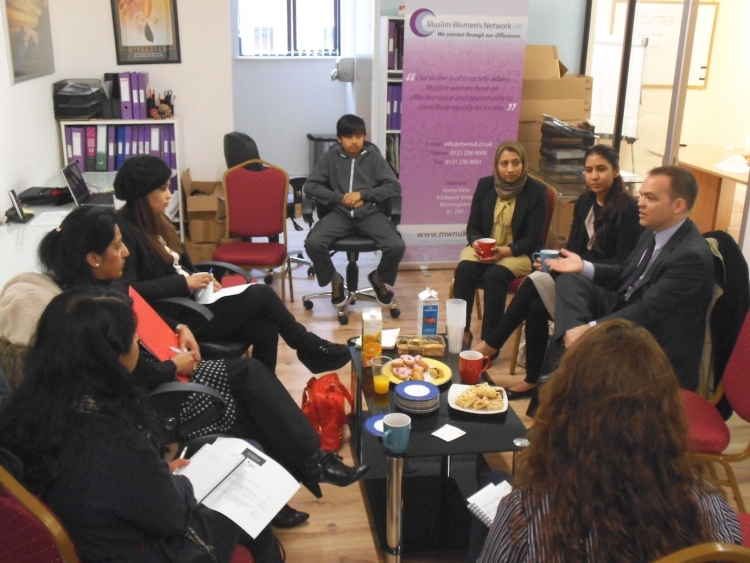 On 30th May 2013, representatives from the US Embassy visited the MWNUK offices to discuss U.S. foreign policy. Local Muslim women were invited to attend the meeting and asked questions and robustly challenged specific policy issues of concern. The issues raised by participants included the drone attacks in Pakistan, the role of US in conflicts around the world and sale of weapons to states with questionable human rights records. 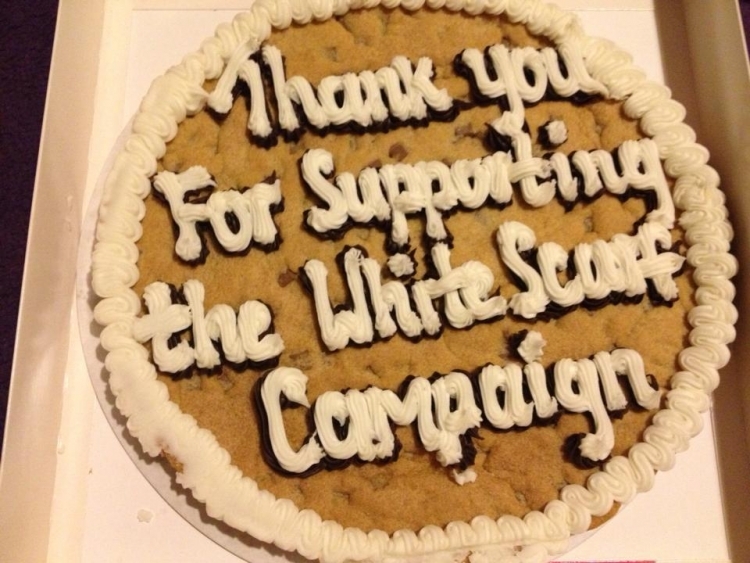 On the 29th May 2013, MWNUK held a workshop aimed at young activists. Issues covered included awareness raising presentations and videos on domestic violence, sexual violence and forced marriage. The session also included advice on how to campaign and share information. 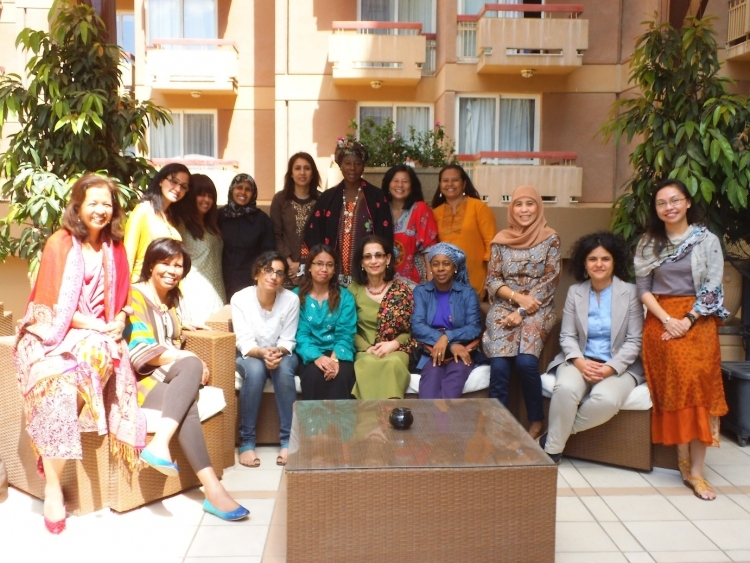 The International Advisory Group, which is the highest decision making committee of Musawah met in Cairo in April 2013. 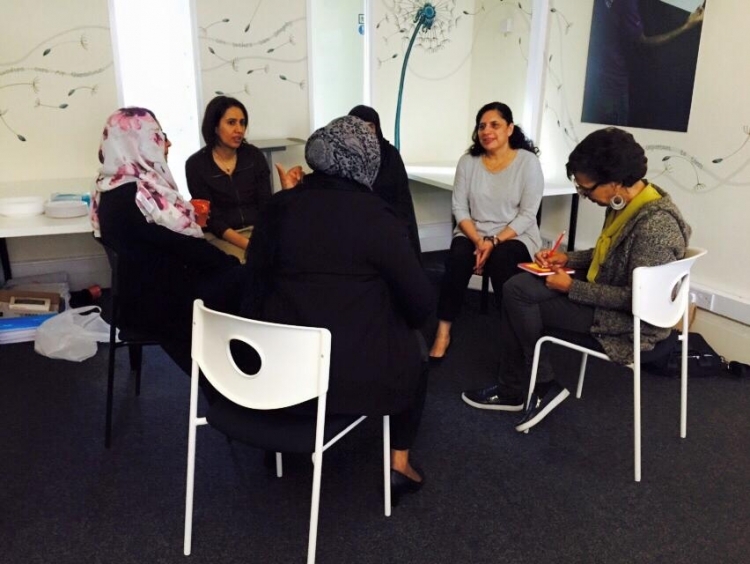 As a member of this group, Shaista Gohir, Chair of MWNUK attended this meeting. The event was held in Birmingham on 23rd March 2013. 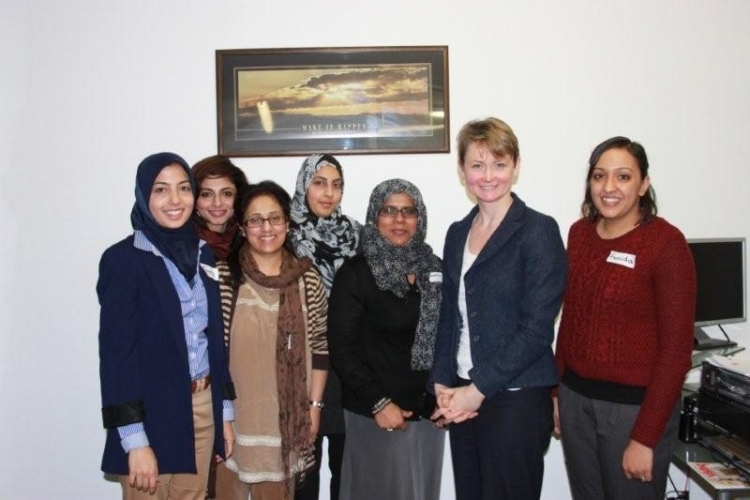 Shaista Gohir (Chair of MWNUK) took Bordesley Green School pupil, Abida Sultana, to meet Ed Miliband MP, Yvette Cooper MP and Shabana Mahmood MP so she could ask them questions directly. 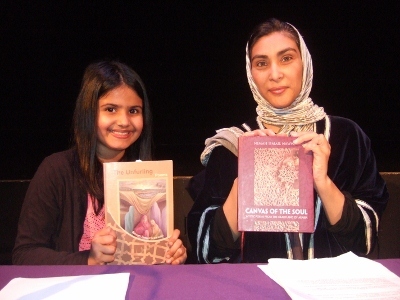 MWNUK hosted renowned Saudi poet Nimah Ismail Nawwab at the Drum theatre in Birmingham. 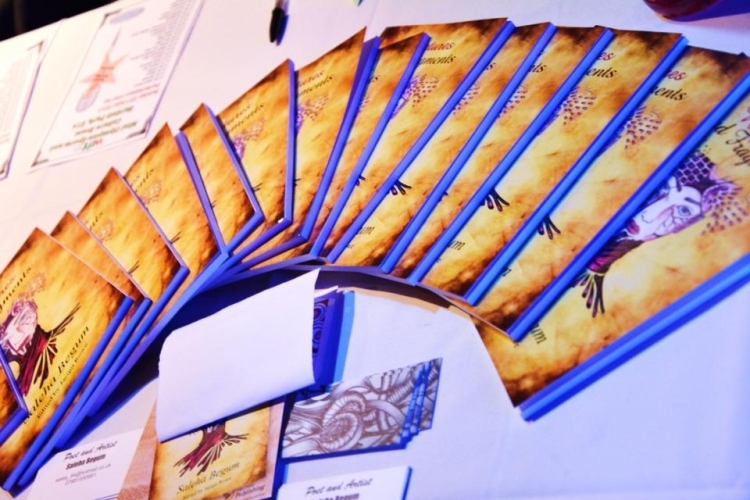 She shared poems from her new book Canvas of the Soul and how events, politics and women’s rights influence her writings. Nimah was joined by Birmingham poet, Saleha Begum,who also read from her debut collection. MWNUK invited Monira Rahman, Executive Director of Acid Survivors Foundation, an organisation that has been working on acid violence issues in Bangladesh. She shared stories of women who had been attacked and how this issue is being tackled. In support of International Day for the 'Elimination of Violence Against Women' and the 16 Days of Activism, MWNUK ran a Facebook campaign. 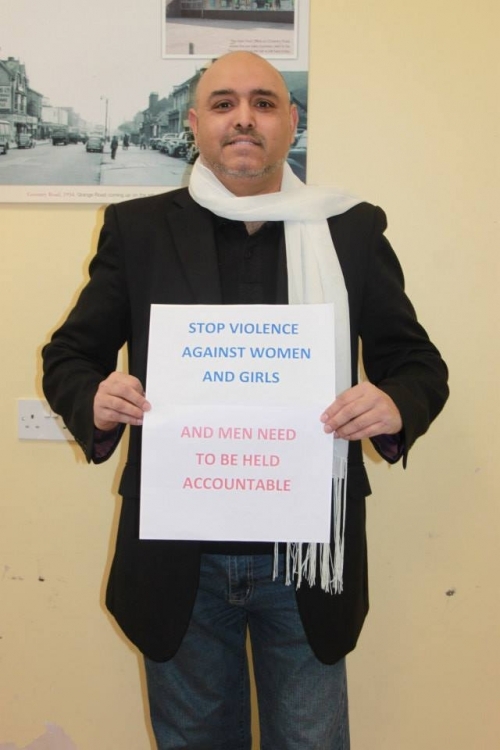 Men, women and children participated in the campaign including victims of violence to raise awareness of violence against women by wearing a white scarf. 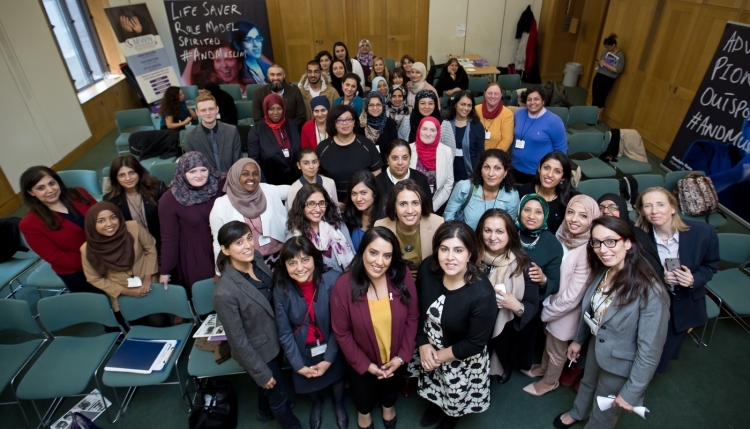 Muslim Women's Network UK in collaboration with Parliamentary Outreach and the Centre for Research in Ethnic Relations (University of Warwick) and sponsored by the UK Economic and Social Research Council delivered a free workshop on the work of the UK Parliament and how citizens can engage with it. 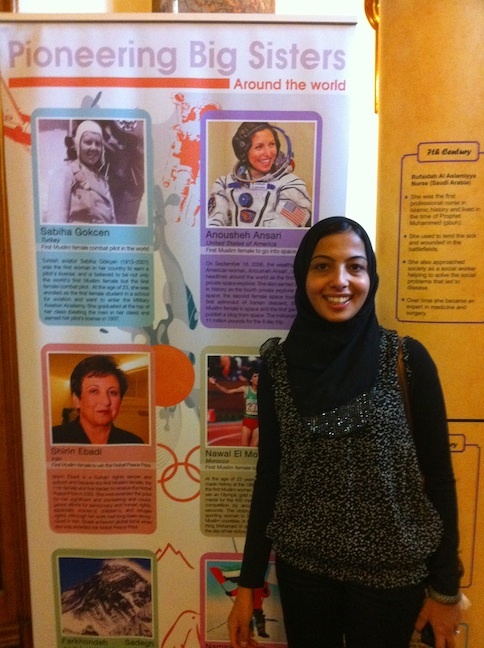 Muslim female role model exhibitions showcased at the Council House. An event organised by Human Rights and Equalities (Charnwood) and held in Loughbourough. MWNUK showcased role model exhibitions and spoke at the event. An event organised by the Workers Educational Association. MWNUK was invited to showcase exhibitions, speak and run a workshop. MWNUK in partnership with Practical Solutions and the West Midlands Fire Service delivered forced marriage training to frontline professionals. 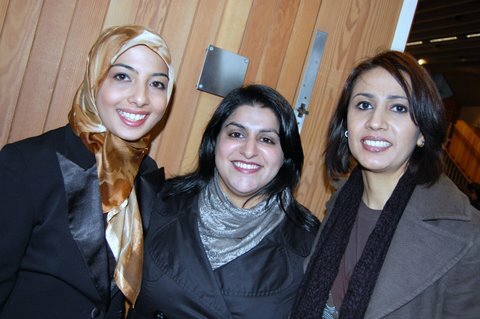 MWNUK was invited to speak at the event on: Muslim women challenging extremism. An event organised by Eiman - a Northamptonshire wide women's group. MWNUK was invited to help facilitate the workshops. Salaam festival was about inspiring Muslim women with music, henna art and creativity. it was held in 2010. The meeting took place o 3-6 August 2010 in Yogyakarta, Indonesia and was attended by Cassandra Balchin and Shaista Gohir from MWNUK. 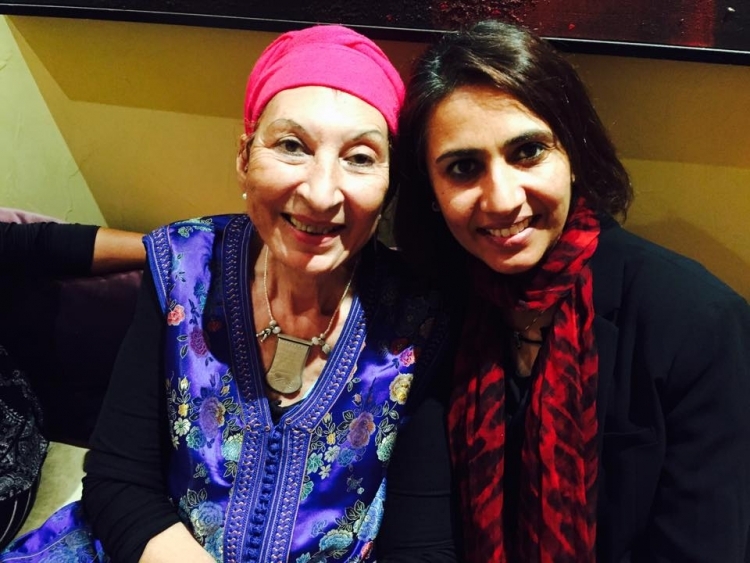 Samar Minallah is a human rights activist and film documentary maker from Pakistan. 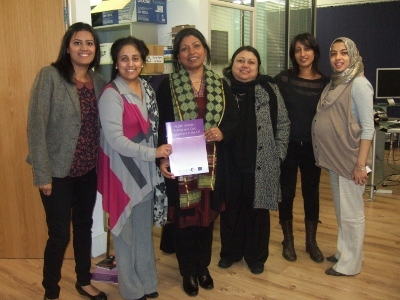 During her visit to the UK in January 2010, she visited MWNUK for a roundtable discussion with some MWNUK members. The event showcasing national and local Muslim female role models was organised by the National Muslim Women's Advisory Group (NMWAG). 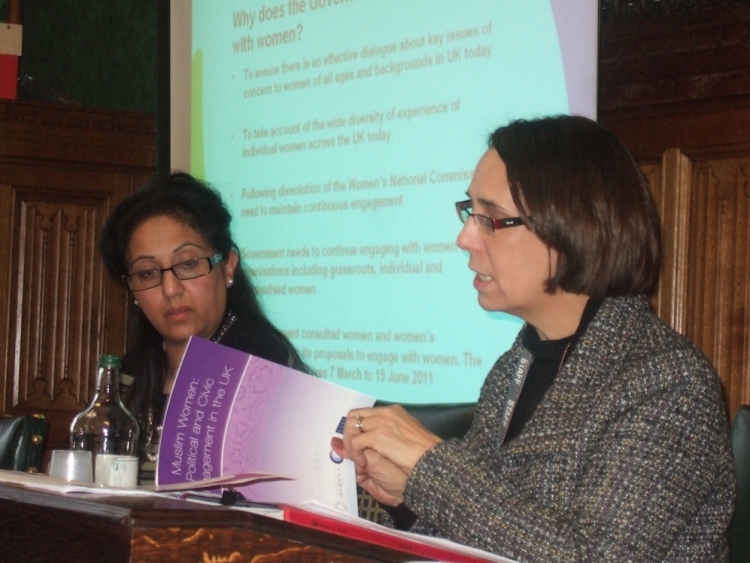 Shaista Gohir from MWNUK Chaired the event (as she was a member of NMWAG at the time). 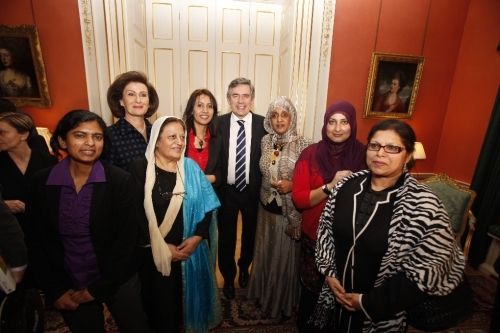 Shaista Gohir was onje of many Muslims invited to the Eid reception hosted by Prime Minister Gordon Brown at Downing Street. The meeting took place in Birmingham. Shaista Gohir won AWAA in the Social and Humanitarian category in May 2009. 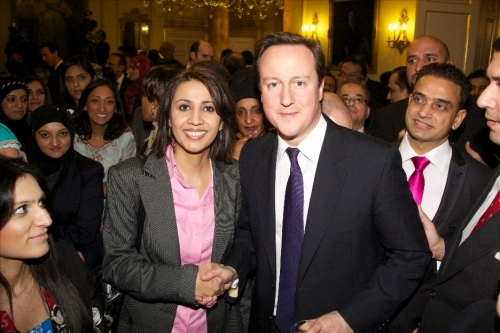 Shaista Gohir's name was included in the Muslim Women Power List which named the most influential Muslim women in Britain. Baroness Haleh Afshar, Honorary and founder of MWNUK was also included on the list. 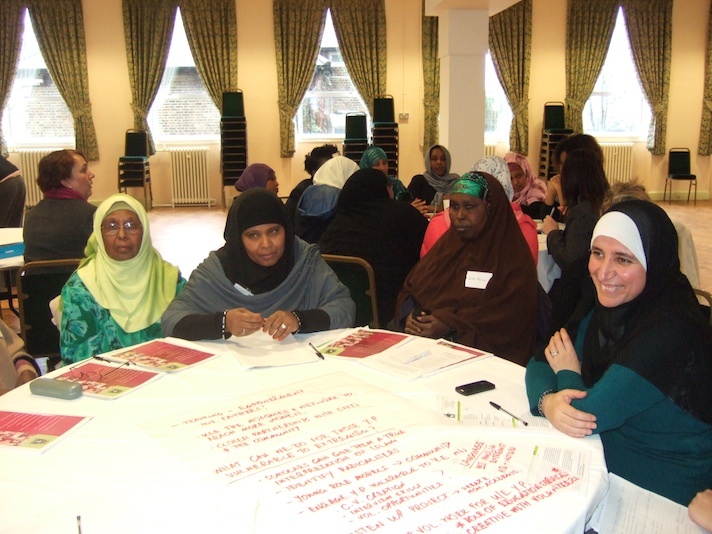 The workshop was held in Leciester and attended by Muslim women from around the UK. 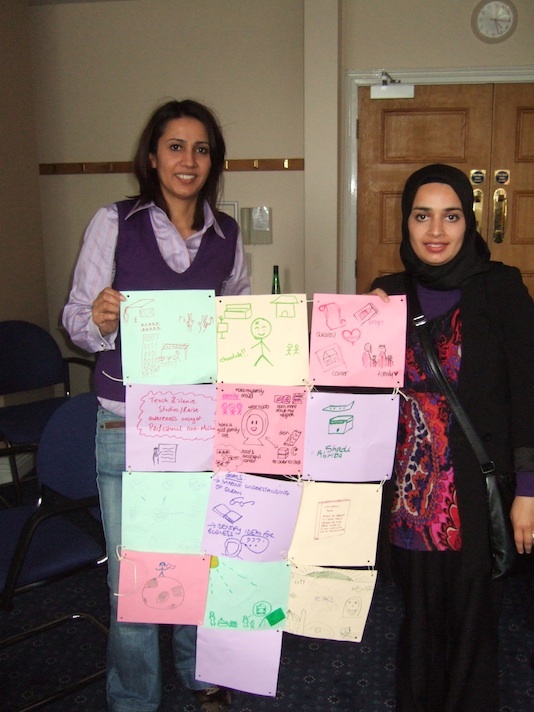 Two workshops were held in Bolton and Blackburn in January 2008 to explore the barriers to health for Muslim women.